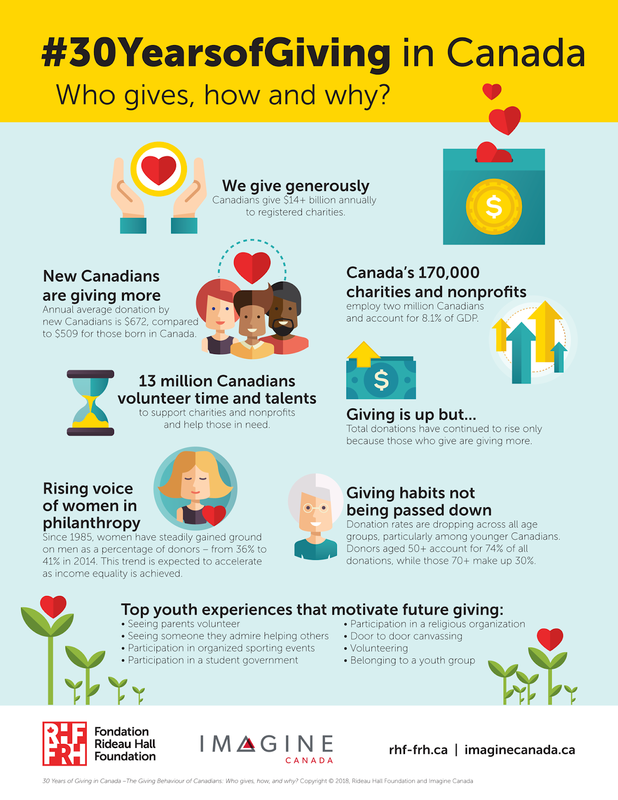 In 2014, Canadians gave over $14.3 billion to charity. That’s good news, and worth celebrating. But there are worrisome signs ahead. 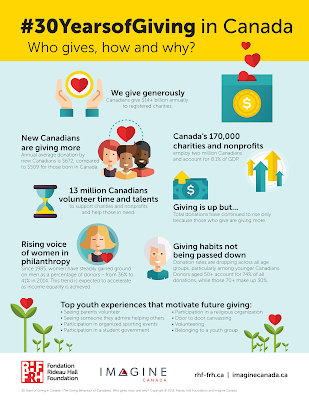 Today, fewer Canadians are making donations, and the future is of giving uncertain. The report, which uses taxfiler data to explore how giving has changed over the past three decades, found the number of Canadian taxfilers claiming a charitable deduction is falling. In 2015 20.9 percent of taxfilers claimed a deduction, compared to 25.1 percent ten years earlier. In 1989 that figure was over 29 percent. it also found the size of donations is decreasing. Baby boomers give less than their parents. And it appears their children and grandchildren will give less than them, too. The report concludes that charities will need to find new ways to engage younger people—before it’s too late. “The Boomer generation, which has been the mainstay of the charitable sector for the past 30 years, is aging,” the report states. I contacted Bruce MacDonald, President and CEO of Imagine Canada, to get his take on the challenges and opportunities facing the charitable sector today. But how will they learn about the importance of donating, not just signing petitions or marching for justice? That's where faith comes in, MacDonald says. “When I talk to older Canadians about where they learned to give and be generous, many cited their churches or other places of worship,” he shares of how they learned about giving as children. But with fewer people—especially fewer younger people—going to places of worship on a regular basis, he wonders where that modelling for giving will take place today. “Liking something on social media isn’t the same as putting money in the collection plate,” he states. With attendance at worship services dropping, where will the next generation learn to be givers? From the April 21 Winnipeg Free Press. Download the full 30 Years of Giving in Canada here.